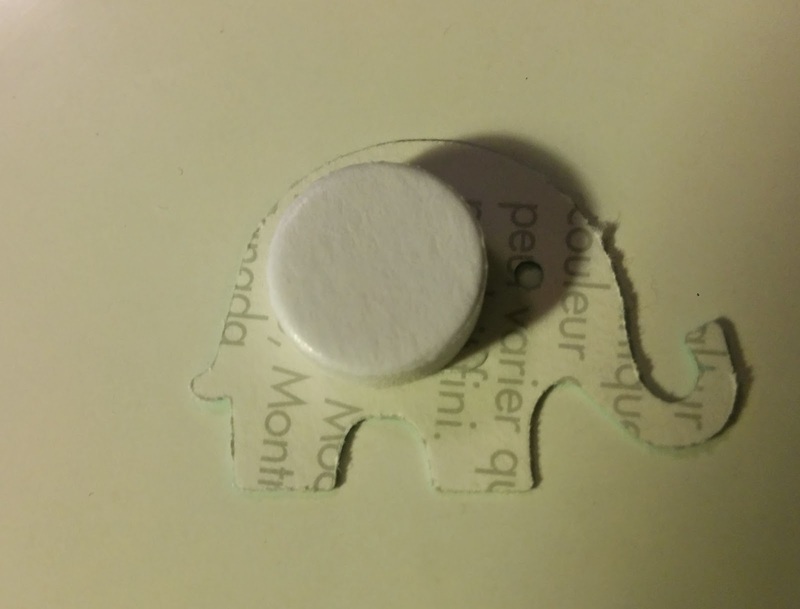 This was an incredibly easy, 10 minute project. The best part is that I was able to reuse paint samples I had picked up from Benjamin Moore when deciding which colour to paint the Turquoise antique dresser, so this art perfectly matches the nursery. 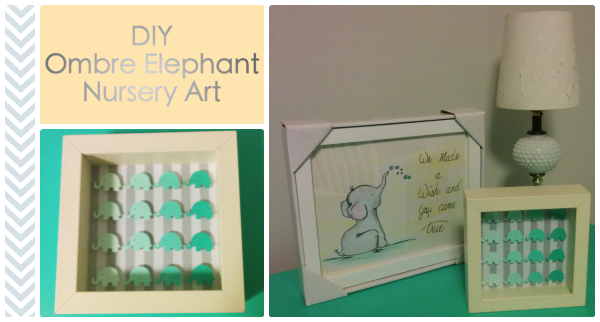 I previously punched out elephants from paint samples, as you can see in my previous post, Colourful Elephants using Paint Samples and Martha Stewart Punch, which is what inspired me to do this project. 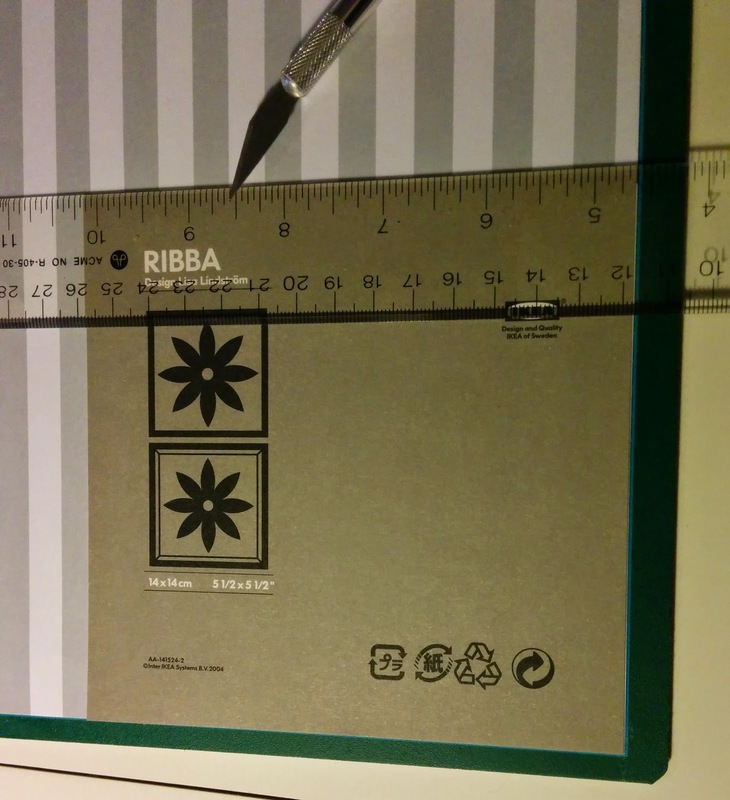 Use the paper insert from the frame as a guide, as you can see in the picture below. 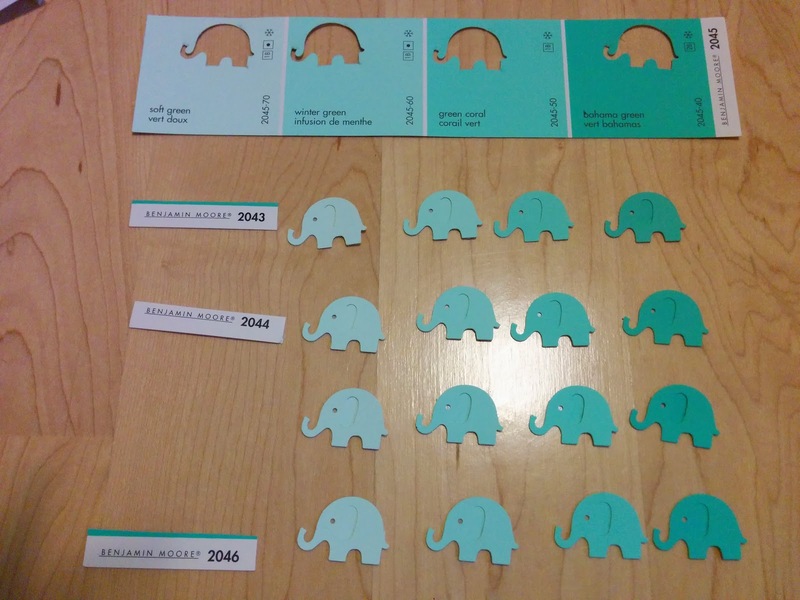 I used 4 different paint samples (Benjamin Moore 2043, 2044, 2045 and 2046) which each had 4 shades of a single colour. 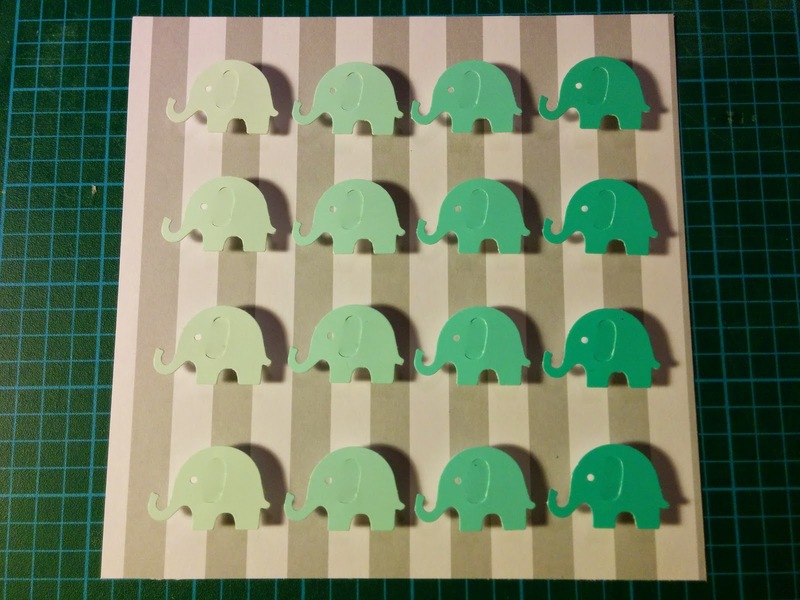 I punched an elephant from each shade on each sample to end up with 16 elephants. 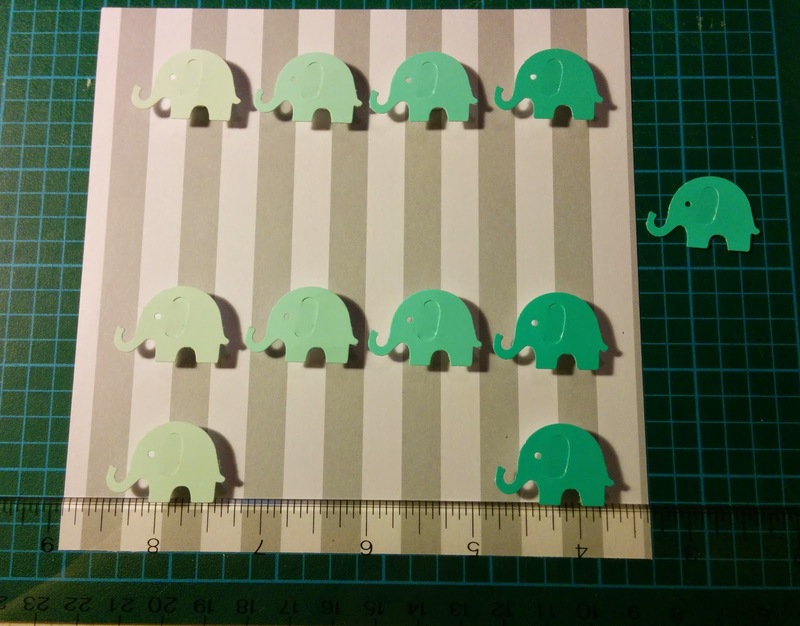 The easiest way to ensure that they line up is to use a grid. 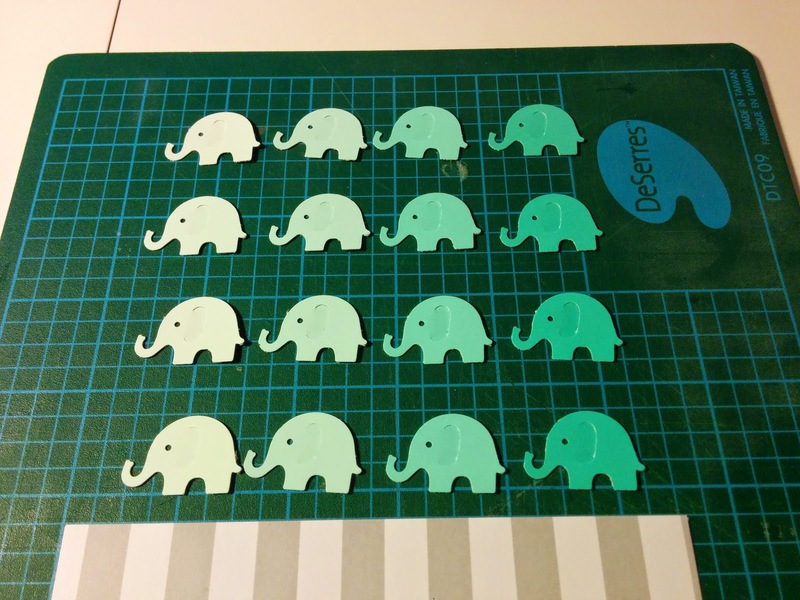 I used a cutting mat for this, but even simply lined paper will go a long way to helping you space these out evenly. 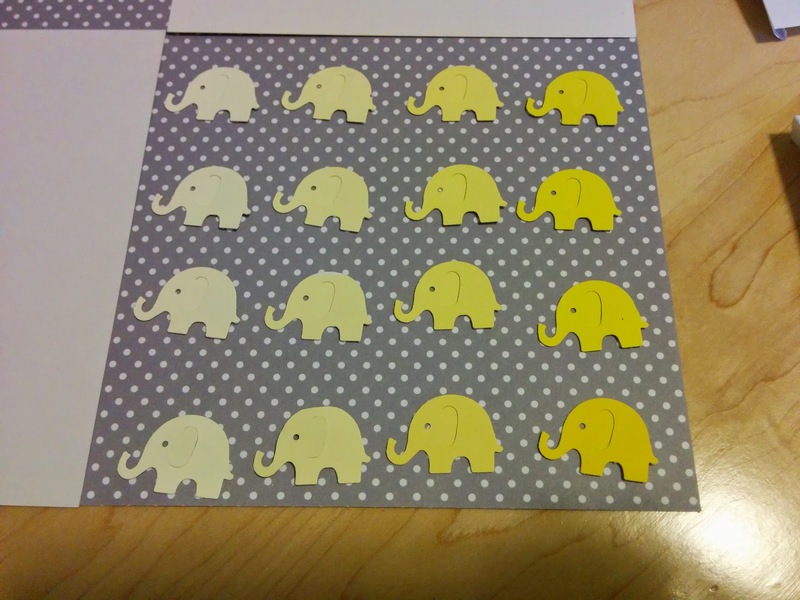 If you decide to do this project, email me a picture! I'd love to see what you come up with! Craft punch in an interesting shape - Martha Stewart makes punches with butterflies, ladybugs, hearts!